Stefan Bradl’s bid to catch Cal Crutchlow and finish fifth in the MotoGP standings is over with the German forced to miss tomorrow’s Malaysian Grand Prix having fractured his lower right tibia. The German suffered an innocuous slow speed crash at turn one in the closing minutes of FP4 at Sepang. However, as he slid along the track towards the gravel trap his right foot caught momentarily in the astroturf on the outside of the circuit and caused the injury. It was clear immediately after the incident that Bradl was in pain with the former Moto2 World Champion unable to stand and clutching his lower leg. 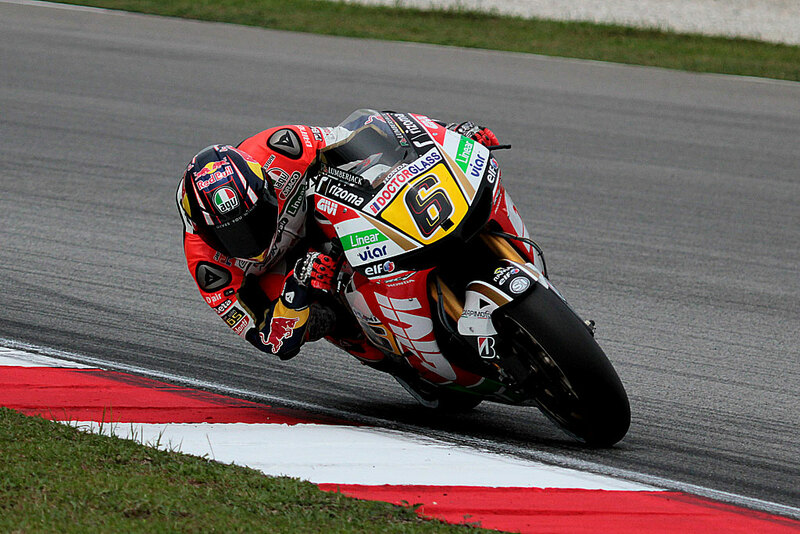 It had been initially reported that Bradl would fly back to Europe for surgery in Barcelona but the decision to have the operation in Malaysia illustrates that the 23 year old will be doing all that he can to be fit for either Philip Island or Motegi. 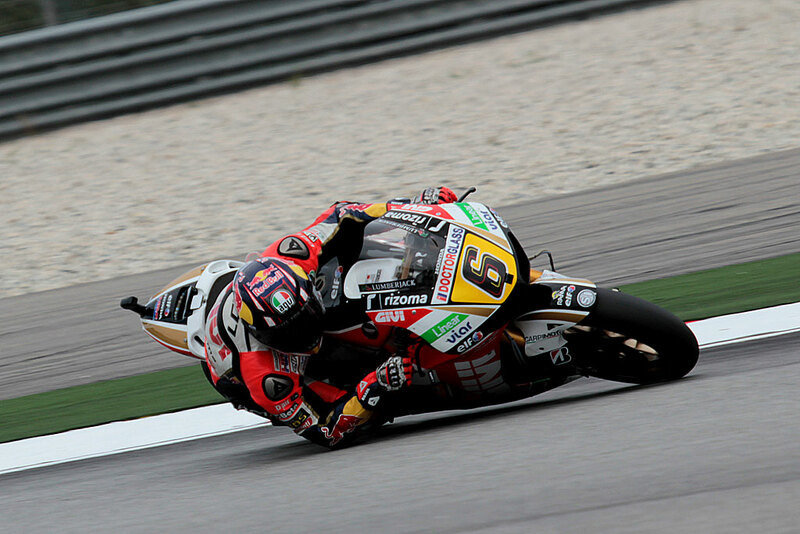 “I was quite confident in FP4 and we were on a new tyre to get ready for the QP2,” said Bradl. “So I started to push but for some reasons I felt a bit strange with the rear tyre because I could not get the proper grip quickly. Thus I tried to push on braking a bit too much for the first corner and I lost the front. Honestly it was not a heavy crash but I was unlucky. The handle bar of my bike immediately dug into the plastic grass and lifted a section of it up then unfortunately my right leg connected with it and got stuck. I immediately felt the pain and the x-ray exam revealed the fracture of the right malleolus”. Bradl is currently sixth in the current championship standings, 21 points behind Crutchlow, and with Alvaro Bautista just ten points behind the German it will be very difficult for him to maintain his championship position when the season ends. This entry was posted in MotoGP, News and tagged Álvaro Bautista, Cal Crutchlow, Grand Prix motorcycle racing, Malaysian Grand Prix, Sepang International Circuit, Stefan Bradl, Team LCR, Valentino Rossi. Bookmark the permalink.